FA Brief History SILK SCREEN PRINTING has its origins in Chinese stenciling. It uses silk stretched on frames to support hand painted stencils, a process also for multicolor printing, using the screen process . During the First World War in America ,took off as an industrial ; it was mainly used at first for flags and banners but also for ‘point of sale’ advertising in the chain stores in America, which were appearing around that time. Around this time the invention of the photographic stencil revolutionized the process; in the following years, obviously improvements were made in the presses, inks and chemicals used, but apart from the introduction of computer technology in the 1980’s – in the pre-press side.- very little else has changed since. Walk down any High street and you will see examples everywhere: in shops you will see displays and posters advertising their products; you will see buses with ads on their sides; on computers and hi-fi you will notice badges and control panels;. In the home you will find that many textiles and items of clothing, sports bags and T shirts have been screen printed, as well as the stickers that you have on the rear window of your car. especially since the days of POP ART in the sixties – Andy Warhol ,Rauschenberg and Hamilton are a few notorious examples. These artists opened up a whole new vista in the use of the screen process. How does screen printing work? The equivalent of the printing plate for the SCREEN – a wooden or aluminum frame with a fine nylon MESH stretched over it. The MESH is coated with a light sensitive emulsion or film, which – when dry – will block the holes in the mesh. The image that needs to be printed is output to film either by camera or image-setter. This film positive and the mesh on the screen are sandwiched together and exposed to ultraviolet light in a device called a print-down frame. The screen is then washed with a jet of water which washes away all the light sensitive emulsion that has not been hardened by the ultraviolet light. This leaves you with an open stencil which corresponds exactly to the image that was supplied on the film. Now the screen is fitted on the press and is hinged so it can be raised and lowered. The substrate to be imaged is placed in position under the screen and ink is placed on the top side of the screen, (the frame acts also as wall to contain the ink ). A rubber blade gripped in a wooden or metal handle called a SQUEEGEE (not unlike a giant windshield wiper) is pulled across the top of the screen; it pushes the ink through the mesh onto the surface of the substrate you are screenprinting. To repeat the process the squeegee floods the screen again with a return stroke before printing the next impression .Various applications include: Posters, stickers, show cards, ticketing, shelf strips, banners, exhibition panels, plaques, ring binders, mouse pads, site boards, signs, T Shirts, to name but a few Basic Four Color Process Printing (Four-Color Process or Full Color) Printing from a series of *halftone plates (each of a single color) layered over each other to produce the full spectrum of colors. The four transparent ink colors used are Black, Cyan, Yellow, and Magenta. Almost every color can be imaged by combining these four colors. This process is best limited to light colored shirts such as white and natural because the color of the shirt shifts the color pallette of the transparent inks. The best shirts to buy 4 color process designs on are ringspun cotton (such as the Hanes Beefy) or combed cotton ( Jerzees ZT). Basic Four Color Process . separations yield good results with most art, high level art will most likely require using an outside separator. (We recommend an award winning source for matching “memory colors” such as apples, skin tones, etc.) Do not look to Four Color Process as a cost saving method to yield more colors on a shirt with lfewer colors because the separation costs can be substantially more costly. This means that the printer can pick up the sheet of paper you’ve given them, take it over to the camera that makes plates for the press, take a picture of it, and print your material. If there are any steps between the counter and the camera, like adding a photograph, or moving a line of text, or separating colors, it isn’t camera-ready. (DPI) Usually refers to the resolution of a printer. The higher the number of dots per inch, the better and cleaner the type will look. Photographic film containing an image in which the values of the original are reversed so dark areas appear light and vice versa. The reproduction of continuous-tone images, such as photographs, through a screening process which converts the image to dots of various sizes. The number of dots-per-inch is called the line count and the amount of coverage is determined by the size of the dots in the uniform pattern. The frequency of dots in halftone images. Linescreen refers to the number of lines of dots in a one-inch area. (Four-Color Process or Full Color) Printing from a series of *halftone plates (each of a single color) layered over each other to produce the full spectrum of colors. The four colors used (you knew there had to be a reason they called it four-color process, right?) are Black, Cyan, Yellow, and Magenta. Virtually every color can be combining these four colors. Fabric stretched over a frame and precoated with a light-sensitive coating to produce open areas of negative images (from film). Screens are then used on the printing press to transfer the image to shirts or fabric by pushing ink through the open areas with a squeegee. Screens can be stored and used again for reprints of your job. CMYK inks (used in four color process) are transparent and do no image on dark garments. Generally a dark shirt design is created using specific spot colors that combine to give a process color look without actually using CMYK inks. Use of one or more particular PMS colors . Different from process color because the plates are not printed on top of each other, so each color is distinct, not blended. dark), the stochastic process creates tonal value by variably spacing dots of a uniform size. The greater frequency of dots in an area creates a darker value while a lower concentration of dots creates lighter tonal value. This word used to apply to the process of taking a small metal block with a letter of the alphabet on it and setting it in a huge box to form lines and paragraphs. Since we now use computers, typesetting can mean anything from a file with a 300-dpi laser printer to a file with a linotype machine, which generates 2400 dpi. We strongly suggest you ask whoever is doing your typesetting exactly what they mean by it. Refers to the color gamut of red, green, and blue.. Refers to the “feel” of the garment surface after receiving an imprint. Refers to the white or very light opaque imaged on a dark shirt to ensure a bright and vibrant base for the subsequent inks. Refers to range of colors used in a particular design. Full range of colors in the color spectrum. The process of splitting a design into the printable components (film, vellum, etc…). Refers to the individual components in a seperation. Refers to a service bureau with high resolution image processing capabilities. Refers to a wide range of disks and media used for transport and delivery of digital information such as artwork. Most common and accepted of these are Iomega Zip disks (with storage capabilities of 100, 200 megabytes), CD rom (with storage capabilities of up to 700 mb), and DVD rom (with storage capabilities of 6.5 gigabytes). Special four color process inks are transparent and do not work on dark garments. Generally a dark shirt design is created using specific opaque spot colors that combine to give a process color look without actually using four color process inks. Art work should be supplied at a minimum of 200 dpi at 100% in RGB format. This means that the printer can pick up the sheet of paper you’ve given them, take it over to the camera that makes plates for the press, take a picture of itl. If there are any steps between the counter and the camera, like adding a photograph, or moving a line of text, or separating colors, it isn’t camera-ready. 1. CorelDraw – We can accept files in versions 5 and higher. 2. Adobe Illustrator – All versions. 3. Freehand – All versions up to 9. 4. Bitmaps – Most files with extensions .jpg, .tif, .gif, .psd, and .bmp can be viewed in Adobe Photoshop. 5. Photoshop – All versions. 6. Adobe Acrobat PDF – Can be used when created with the proper resolution (generally twice the dpi of the final output resolution). can make areas white, in white, and just change your page color so you can see where the white is. NOTE: Complimentary colors create a “muddy” brown color when they are faded into each other. Support your file with a paper copy of your artwork. Acetate – A synthetic plastic material that is the base for most films and can be used to make film positives. Activator – The chemical commonly used in the diffusion transfer process. Additive – An ingredient that is purposely added to an ink to modify the ink to produce a specific result on a t-shirt. Airbrush – A tool used to spray liquids or inks onto a t-shirt by means of compressed air. Aperture – The opening in the camera lens through which light transmits the image. Base – (Ink) The base of an ink without pigment. Batch Processing – Doing work in batches to minimize labor. Black Light – A common name given to special fluorescent tubes with good output in the ultraviolet range that is used to expose photo stencil materials. Black and White – (Artwork) Artwork that is prepared on a white background with the design area in black. Bleed – (Printing) Image areas that are printed beyond the edge of the substrate. Incorrectly used the same as the word “Blend”. Bleeding – 1. The spreading of ink into an area where it is not supposed to be. 2. Dyes in a t-shirt spreading into the printer. Blend – The use of more than one color in the same screen to create a multi-color effect. Blockout – A material that is used to seal around the screen frame and cover any non-printing areas where ink might penetrate through screen and onto the t-shirt. Bloom A milky veil which appears on the surface of prints under adhesive conditions of heat and humidity. It is usually the result of too rapid solvent evaporation which causes condensation of moisture on the surface. Bonding Agent – An ink additive that improves the inks adhesion characteristics. Generally used to help an ink adhere better to nylon t-shirts, hats and jackets. Body – (Ink) A term that characterizes the viscosity and flow of an ink. Build-Up – (Screen Making) A board that is slightly smaller than the inside dimension of the screen frame used to hold indirect or direct stencils in place during adhering. (Printing) The sticking of ink to the bottom of the screens when printing wet-on-wet on t-shirts. Burn – To expose a screen for screen printing. Camera-Ready – Paste-up or artwork that needs no more work before a final camera shot is made of it. Carousel – A common term applied to a manual multi-color t-shirt screen printing machine. Clip Art – Artwork that is camera-ready, copyright free for use in designs for t-shirts. Clogging – Drying of ink in the screen. Coater – A special trough for holding emulsion and coating it on screens. Color Separations – Film sets that consists of one film positive for each subtractive primary pigment color of magenta, cyan and yellow along with black that has been separated from fully colored in artwork and converted into tiny halftone dots. Color Sequence – The printing order of each screen on a multi-color screen job. Copyright – The right to prohibit others from copying works of art, books or t-shirt designs. Curing – A reaction – usually chemical – within an ink that promotes polymerization. Curved Screen – Special curved screens that are used for baseball caps or other curved objects. Darkroom – A light-tight room that can be used for camera shots or screen coating and drying. Decoating – The removal of stencils or emulsions from screen fabric. The same as reclaiming. Direct Emulsion – Liquid light sensitive emulsion that is coated on the screen and then exposed. Durometer – The measure of hardness of rubber. , the durometer is measured on the shore A scale. Emulsion – The term used for the light sensitive material used in photo stencils and photo films. Exposure – (Photography) Allowing light to reach the light sensitive film and reproduce the image being transmitted. (Screen Making) Allowing light to reach the light sensitive photo stencil and reproduce the image of the light blocking film positive. Exposure Unit – Any exposure system that is self-contained with a light source and screen holding set-up. Extender Base – The base of an ink without pigment usually used to increase the mileage of the ink. Also called “Extender”, “Transparent Base” and “Halftone Base”. Fabric – (Screen Making) The cloth used to hold the stencil . Filament – Single strand or thread. Film Positive – A piece of film that has the artwork reproduced on it in a positive image. Flash Cure – The quick curing of ink between colors or after the done. Flow – The measure of an ink’s printability and viscosity. Font – A specific type face. Full-Color Process – The printing method used to reproduce fully colored in continuous-tone artwork using the three subtractive primary colors of magenta (purplish red), cyan (blue) and yellow along with black, printed as tiny halftone dots. Ganging – The shooting of more than one camera shot in the camera, or designs on a screen at the same time. Ghosting – A double image in a print. Grey Scale – A tool or guide with various tone ranges that is used to check the accurate reproduction of a line shot of halftone camera shot. Halftone – The conversion of a continious-tone piece of art or photograph into a series of small and large dots. Halftone Dots – Uniform dot patterns that can be used on artwork to create tints of color. Heat Curing – The heat setting or curing of t-shirt textile inks. Heat Transfer – In t-shirt screen printing, the transfer of a design from a paper substrate to a t-shirt. Imprinting – Screen printing a second print on a t-shirt that has already been printed. Image Area – The area of the positive, negative or screen that has reproduced the artwork. Ink – A general term applied to almost any liquid that is used to make a print. Inside Cut – An overlay cut that allows a slight gap between the overlay and the trap color. Lacquer Thinner – Blended solvent made up of a mixture of tolulen, alcohol, ester, glycol, ether and other solvents. Lens – One or more pieces of optical glass that is ground so it will collect and focus light rays. Line Art – Also called Line Copy or Line Drawing – A piece of artwork that has no continuous-tones and is comprised of light and dark areas only with no grays or halftone dots in between. Logo – Also called Logotype – A special symbol, lettering style or graphic looking name that is used on a t-shirt in advertising and as a trademark to establish immediate recognition by the customer. Material Safety Data Sheet – Called an MSDS for short, sheets that are supplied be manufacturers on the safe use and handling of specific products and their physical and reactive properties. Mesh – Screen printing fabric. Mesh Count – A numbering system to denote the number of threads per inch of mesh. Mercury Vapor Lamp – Screen exposing lamp that is made of mercury enclosed in a quartz tube. Metal-Halide Lamp – Screen exposing lamp that is made of mercury and metal halide additives in a quartz tube. Mineral Spirits – Aliphatic solvent that has a mild order. Also called “Paint Thinner”. Commonly used to clean plastisol ink from screens. Negative – A photographic image where the dark areas of the original are light and the light areas of the original are dark. Off-Contact Printing – Screen printing with the screen sitting slightly above the t-shirt so the only time it touches the t-shirt is when the print stroke is made. On-Contact Printing – Screen printing with the screen sitting flat on the t-shirt. Opacity – The hiding power of a screen printing ink. Overprinting – Screen printing t-shirts with one color directly on another color, whether the under color is wet or dry. Pallet – Item that holds the t-shirt. Also called a shirt board. Picking – Pulling a t-shirt order prior to screen printing or shipping and checking it for the proper quantity of size and color. Pinholes – (Film) Small imperfections in film. (Screen Making) Open areas in the non-design areas of the mesh where the stencil has not bridged across the weave. Plastisol – A screen printing ink most commonly used on t-shirts that contains a plasticizer and resin. Plate – A common offset screen printing term that has come to be known as the positive in the screen printing industry. Also used in reference to the printing screen. Platen – (Heat Transfer) The base or heating element of a heat transfer press. (Printing) The same as a shirtboard. Plugging – Clogging of screens. Printability – The ability of a t-shirt to accept screen printing ink and produce an accurate reproduction of the image. Printing screen – The carrier or holder for the screen fabric. Proof – Sample screen print. Puff Ink – Ink that expands when heated and gives an embossed or three-dimensional effect after screen printing a t-shirt. Reclaiming – Removing the stencil from the screen printing fabric. Reclaiming Solution – A liquid or powder that is used to disolve the stencil system from the printing screen. Repeatability – The ability to repeat a t-shirt job or process over and over with the same consistent results. Sawtooth – The jagged edge or sawtooth edge created when the photographic stencil does not bridge across the weave of the mesh. The sawtooth edge is actually mesh marks. Screen – Common name given to the complete screen and sometimes to the screen fabric by itself. Screen Opener – solvent used to open up clogged screens. Self-Tensioning – A screen frame that allows the fabric to be tensioned and re-tensioned without the aid of a stretcher. Screen Opener – Item used to hold the t-shirt in place while screen printing. Slur – Slight blur on t-shirt print due to movement of the screen or screen printing machine during the print stroke. Slur – Can be either a full cure or partial cure of ink between colors or after final print is made on the t-shirt. Squeegee – The tool used to push the ink through the screen and onto the t-shirt. Stencil – The medium used to create an image on the printing screen. Substrate – The item or surface being printed. T-shirt – A collarless short-sleeved or sleeveless cotton undershirt; also: an outer shirt of simular design. Tension – Tightness of screen fabric when stretched. Tint – A variation of a color by adding white to it or screen printing it with halftone dots. Transparent – The ability to allow light to pass through and to be seen through. Ultraviolet – The section of the electromagnetic spectrum in the 200 to 400 nanometer region that is used to expose screens and cure certain types of inks. Vehicle – (Ink) The base used in ink to make it screen printable for t-shirts and other printable. Viscosity – The flow or fluidity of inks making it easier for screen printing t-shirts. Washout – Developing the photo stencil. Weaving – Fabric making process of interlacing yarn at right angles. Wet-on-Dry – Screen printing one color of ink and drying it first before screen printing a second color on top of it. Wet-on Wet – Screen printing one color of ink directly onto another color without curing or drying in between. A film positive scale that has 21 gradation points (stepping from 100% solid to 0% open) and it is used to properly calibrate the correct exposure time for polymer clichés. The resistance of a surface to being worn away by rubbing or friction. A measure of toughness more than of hardness. An ink thinning solvent that has a very fast evaporation rate. A thermoplastic. A common one is known commercially as Plexiglass. Test methods used to determine the adequacy of ink coating adhesion to a substrate. A common test is the Cross-cut tape test. Portion of the vehicle in an ink composition that, in combination with the pigments, forms a film. Typically made from zirconium and used as the ink wiping edge on a closed ink cup. A type of printing plate used in pad printing that has an etched image into the top printing surface. A cliché can be made from either steel or photo-polymer (plastic) material. See also; polymer, thick steel and thin steel. The segment of the print cycle where the pad is compressed against the cliché. Typically a round vessel for containing and controlling the escapement of solvents from a pad printing system. Liquid having a flash point at or above 100? Fahrenheit (37.8? C) but less than 200 degrees Fahrenheit (93.3° C). Inks that are solvent based and use evaporation as the primary means of curing. An electronic discharge that is used to change the static tension of a substrate surface to allow better ink adhesion. See also; flame treatment. The point at which there are no longer any active volatiles and the ink has finished hardening (for example typically a conventional ink will cure in 24 to 72 hours). Photoelectric device that measures either the reflected or transmitted density of photographic film or printed color. Is a knife-like blade that is used to scrape the puddle of ink from the clichés surface, leaving only the ink in the etched image. Doctor blades are found on open inkwell systems. The tendency of a printed halftone dot to change in size at the moment of ink imprinting changing the overall visual quality of the print. A measurement scale used for determining the surface tension of a substrate. Higher values indicate better ink adhesion. Two chemical components that when mixed will begin to molecularly cross-link and begin to harden. Typically this process takes between 4-8 hours and typically an epoxy ink will exhibit greater resistance to abrasion and chemicals. To expose the polymer cliché material to Ultraviolet (UV) radiation that will harden the cliché into a usable printing plate. An undesirable circular flaw in the printed image usually caused by bubbling of the ink. Tooling used to hold the part that is to be printed in place during the print cycle. A fixture can range from being made out of simple casting resins to complex CNC manufactured tooling. Also known as a nesting fixture. A liquid having a flash point below 100 degrees Fahrenheit (37.8 degrees C). A gas powered flame that when passed over the substrate material changes the surface tension of a substrate to allow better ink adhesion. Is typically a flame treatment that is applied to the substrate after the print cycle to facilitate better adhesion and cure on nylon based materials. The minimum temperature of a saturated vapor of a specified liquid at which the vapor will ignite in the presence of a spark or flame. Is a mechanical device that is used to drag the ink forward from an open inkwell system to flood ink over the clichés etched image area. Is a brush-like device that is used to drag the ink forward from an open inkwell system to flood ink over the clichés etched image area. An additive used to disturb the surface tension and increase the ink flow. Reproducing full color by photographically separating the art into its three primary colors: yellow, magenta and cyan plus black and printing them in that configuration. A second image that is slightly visible behind the desired print. Representing the level of a printed color (or black) with dots of varying size. The catalytic agent of a two-part chemical compound that when mixed together with an epoxy ink will molecularly cross-link, and begin to harden. Typically this process takes between 4-8 hours. This time value is also known as “pot life”. A printers style magnifying glass that allows you to see defects more clearly. Never give a loop to your Q.C. department! A low gloss (no gloss) finish. A very resistant thermoset plastic. An undesirable optical effect that can occur when printing halftones or four color process. A spotty or uneven printed surface with is most apparent in solid areas. Tooling used to hold the (to be printed) item in place during the print cycle. Also known as a fixture. A pad printing system in which the printing inkwell is fully exposed to the surrounding air environment. This style of system allows a much greater amount of solvent loss and is universally understood to be more problematic than it’s modern day closed ink cup counterparts. Occurs when too much downward pressure is applied to the printing pad. If the over compression occurs on the cliché stroke, it will cause the ink to be pressed out of the corners of the etched image. On the print stroke, the image will be blurred with jagged edges. This is a time value that can be set on your pad printing machine which allows the ink to tack on the printing pad before printing. This is the hardness value that is specified to the silicone pad and it is typically based upon the 00 (double-ott) scale. A defect or void that appears in the desired print, usually caused by the trapping of air between the pad and the substrate material. This defect is often seen in highly textured surfaces. A type of photosensitive plastic cliché material, that when exposed to Ultra-Violet (UV) radiation it will harden into a usable printing plate. Is typically a flame treatment or corona treatment that is applied to the substrate after the print cycle to facilitate better adhesion and cure on nylon based materials. The value of allowable time after the catalytic agent of a two-part chemical compound has been mixed with an epoxy ink. Typically with most inks the working pot life is between 4 to 8 hours. Is defined as a chemical wipe, an electronic discharge (corona) or gas powered flame that is used to change the surface tension of the substrate to allow better ink adhesion. Typically polyolefin plastics need to be pre-treated. The segment of the print cycle where the pad is compressed against the part or substrate. A thermoplastic that is heat and moisture resistant. Commonly used for industrial components and also food containers and baby bottles. A thermoplastic most commonly used in the form of DuPont’s Mylar. A thermoplastic commonly used in the packaging industry. It is strong, lightweight and highly resistant to breakage. Claimed to be the lightest commercially available thermoplastic. It has a high rigidity and surface hardness. Commonly used in the manufacture of housewares, luggage and bottle caps. A thermoplastic known for its rigidity, hardness, heat and dimensional stability as well as ease of fabrication. The color to color relationship in a printed image. The print quality of a multi-color image is largely dependent upon artwork, machinery & quality tooling. A solid (or semi-solid) which can be dissolved to a liquid state, suspended in a vehicle to make an ink or coating and which, upon drying, forms the solid part of printed film. Is the unwanted result that occurs when the Doctor Blade or Ink Cup scoops ink out from the clichés etched surface. This is more common when attempting to print large images. Any dissolving, thinning or reducing agent. Small strings of ink that appear around the edge of print. These are usually caused by static electricity or surface tension problems. Typically made from carbide steel and used as the ink wiping edge on a closed ink cup. Elongated defects in a printed image. Also known as the material or part that is to be printed. The measurement of ink acceptance also known as the wetting ability of a substrate material. Ink that is dry to the touch but is still not cured. The time required for the ink to flash off enough solvent to be considered tack free. This time is typically between 10-60 seconds depending upon the ink type, thinner used and image size. Is another (typically German) name given to the silicone transfer pad. A tampon is used to transfer the ink image from the Clich to the substrate. The use of adhesive tape to remove any unwanted material from the Printing Pad. On all microPrint machines this process is automated and included as a standard feature. A hardened steel printing plate that is chemically etched to create a cliché. These clichés are typically 10mm thick and the etch depth of the image is typically around 22 to 30 microns. A high carbon steel printing plate that is chemically etched to create a cliché. These clichés are typically 0.5mm thick and the etch depth is also around 22-30 microns. Solvent added to printing ink to help alter the viscosity as well as control the tack time. The property of a compound to liquefy under vibration or shearing (by a squeegee). Silicone pad used to transfer the ink image from the cliché to the substrate. Is the method of laying out multi-color artwork so that the alignment of the black (or darkest) image can be printed slightly over the edges of the underlying colors. By properly trapping your artwork, this will greatly aid in the simplification of your multi-color printing set-ups. Inks that are cured only when exposed to high levels of Ultra Violet Radiation. A device that is used to measure the viscosity of printing inks. On all microPrint pad printers this process control is automated and a standard (optional) feature on most machines. Term used to quantify the thickness of a liquid. In pad printing it is specifically in reference to the printing ink and thinner mixture. A versatile thermoplastic available in rigid as well as soft form. Subject to evaporation at a relatively low temperature. Describes the printing of multiple colors onto a substrate before the previously printed colors have completely dried. If you live in the Denver are and are looking to personalize or customize tee shirts, Jackets, aprons, hats or any apparel or garment. We can help. We use the Screen print process to image our shirts as well as digitizing and sewing of embroidery and Custom monogrammed clothing. Silk screen printing an -shirts is your best bet for Custom printed t-shirts , Jerseys, uniforms or any textile. The silk screen process will hold up to repeated washings of your Custom printed clothing, In fact Custom Silk screening will out last most t-shirts. Our embroidery will probably outlast even the Strongest Custom t-shirt. We do our screening and embroidery right here in Denver, Colorado. Check out our samples of printed shirts. Custom graphics for t-shirts and uniforms. Visit our Custom apparel showroom if you live in the Denver area, Or even Golden or the Mountain communities. Choice Image is just off 1-70 before it goes into the hills. Our Custom artwork for imprinted apparel is designed with the screen print process in mind. This is why even a custom graphic you bring in Will print more beautiful on a t-shirt at our shop then any other front range t-shirt shop. 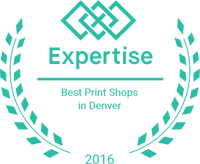 We’ve been a Custom tee shirt shop in Denver for over twenty years, Now.